Recognizing the changing environment of traditional banking, Commerce Bank is in the process of updating several of its existing branches across the region with a focus on integrating new technology. V Three Studios is assisting with the renovation process and exploring new possibilities for the future of Commerce Bank. One of the biggest innovations in modern banking has been the transition from the traditional teller line towards a more open and personalized style of banking. 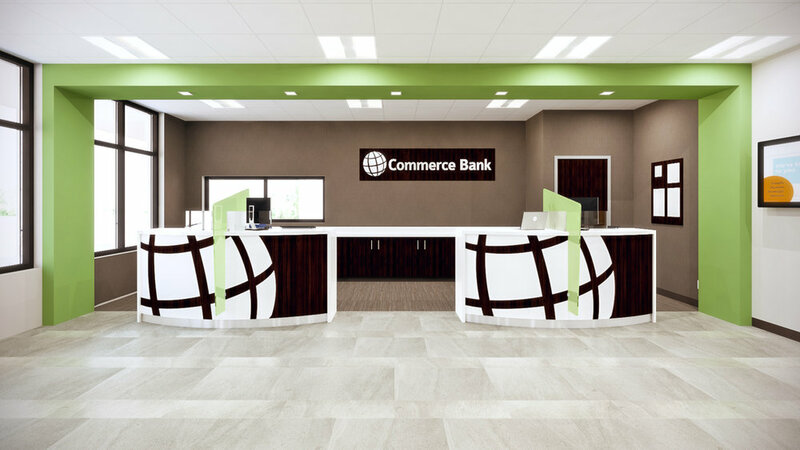 To achieve this, V Three has designed the first ‘banking pod’ for Commerce Bank, which is currently in use at the new branch located in Pekin, IL. This highly functional banking station serves as an all-in-one teller line that breaks down the traditional barriers and allows for a more personal interaction with customers. By replacing many of the outdated teller line components with innovative new technology, the banking pod offers the flexibility to reposition tellers as personal bankers and marketing experts in order to build the bank’s relationship with its communities in a new way. 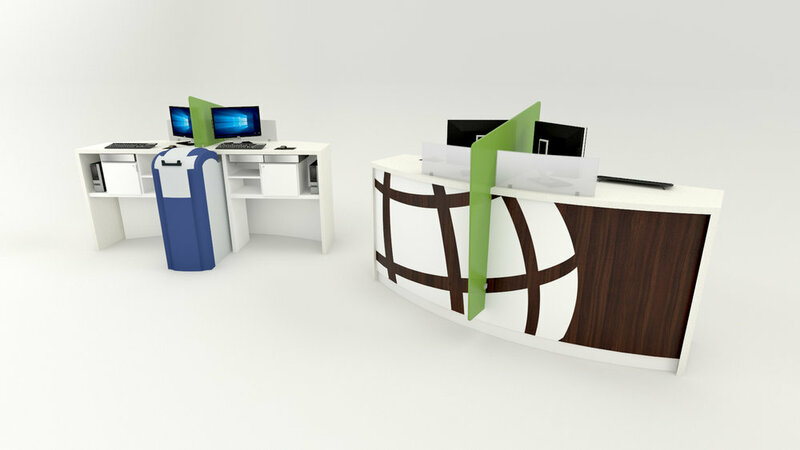 This unique design opens up numerous possibilities to maximize branch space, including the addition of coffee lounges and exploration areas, community boards and consulting rooms.